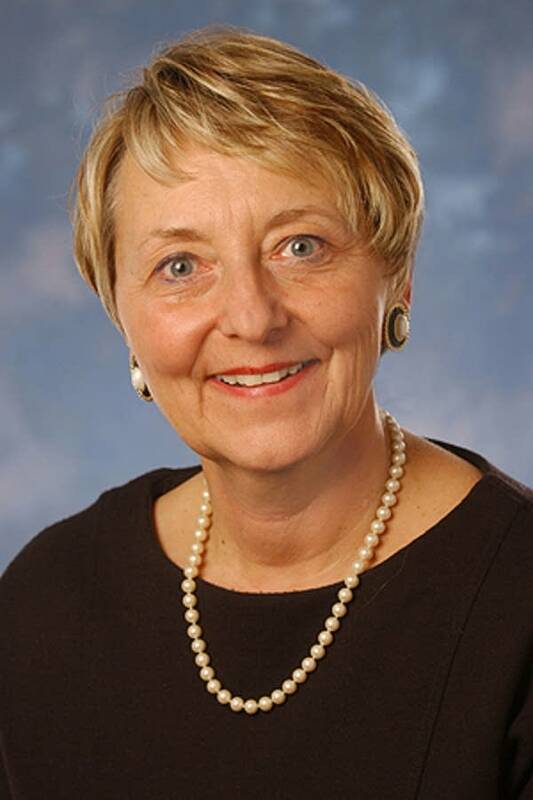 Former Minnesota Supreme Court Justice Sandra Gardebring Ogren, whose career in public service spanned four decades and touched government, the courts and higher education, has died after a nine-year battle with cancer. She was 63. Gardebring Ogren died Tuesday in California, where she recently retired as vice president for advancement at California Polytechnic State University, according to her husband Paul Ogren. In Minnesota, Gardebring Ogren is being remembered by fellow justices and political leaders as a "star" -- a smart, hardworking public servant whose talents contributed a great deal to the state. Ogren reflected on her long, diverse career in public service last month during an interview on MPR's Midday program. During the program, the North Dakota native referred to unspecified health issues she was dealing with, but said at the time she was "feeling quite good." "It's a problem that I've had recurrent and intermittently over a number of years. But for the moment, I'm doing well and enjoying the prospect of spending a little less time in front of the computer, and a little more time sitting in the backyard listening to the birds," Ogren said last month. Gardebring Ogren's husband Paul Ogren, a former Minnesota legislator, said his wife had battled cancer the past nine years. But Ogren said she never let her illness interfere with her professional work. Ogren says his wife died Tuesday surrounded by her family. "She knew that she was dying, and at the end was not afraid of it. But she also knew that this body was worn out and was gone," said Paul Ogren. "She had a lot of joy in the last month of her life, but she had a lot of pain as well. That allowed her death to be a gift, I think, to her and ultimately to those who loved her." Gardebring Ogren's time on the Minnesota Supreme Court was only a brief stop in a remarkable career. In the 1970s she worked as a special assistant in the Minnesota attorney general's office, before directing the Minnesota Pollution Control Agency and the regional enforcement division of the U.S. Environmental Protection Agency. In the 1980s, Gardebring Ogren returned briefly to the MPCA, then chaired the Metropolitan Council and went on to become commissioner of the Department of Human Services. She was a close confidant of Gov. Rudy Perpich, who was responsible for many of her government jobs. Former state Sen. Roger Moe says Gardebring Ogren was extremely bright, and Perpich counted on her for many things. "I think she liked the fact that she didn't always tell him what he wanted to hear, and he respected her because of that," said Moe. "Because of that, he had her do a number of key things in state government that were in areas where he wanted somebody that he trusted, and knew would do a good job." Gardebring Ogren's appointment to the Minnesota Appeals Court came in 1989, followed by her elevation to the Minnesota Supreme Court in 1991. It was one of Perpich's last actions before leaving office. It was also the first time any state had a majority of female justices. The chief justice at that time, A.M. "Sandy" Keith, says serving with Gardebring Ogren was a marvelous experience. "She's just one of these amazing people that have done extremely well, and who have contributed in so many ways to the public area of law," said Keith. Minnesota Supreme Court Justice Alan Page, who served on the high court with Ogren for six years, says Ogren has one of the most impressive resumes for a public servant that he's seen. "She was a star," he said. "It's not likely that anybody soon will be able to accomplish all the things she did in the short time she was here." Page says Ogren led by example, and that as a newer member of the court, he learned a lot from her. "You could see through her work ethic, and the way she followed each issue through to whatever conclusion she reached, she didn't leave any stone unturned," he said. Minnesota Supreme Court Justice Paul Anderson says Ogren brought a tremendous amount of knowledge about government administration to the court. She also helped craft several changes in juvenile law. "I miss her here up on the court. She was always a solid rock as far as I could discern, and I always liked to see where she was on the issue because it could help provide orientation for all of us," Anderson said. In a surprise move, Gardebring Ogren resigned from the court in 1998. She later moved into the position of vice president for institutional relations at the University of Minnesota. That job included fundraising, communications and lobbying the Legislature. Mark Rotenberg, the university's general counsel, says Gardebring Ogren was a tremendous resource. "She had an enormous wealth of experience when she arrived at the U of M. President Mark Yudof and I, both attorneys, as well as the other senior officers, greatly valued her breadth of experience, her wisdom, her common-sense approach to getting things done here," said Rotenberg. Gardebring Ogren had plans to retire to San Luis Obispo, Calif., where she and her husband owned a home. But those plans changed after she met the president of Cal Poly, who offered her an administrative job in 2004. The retirement finally came just a month ago. Looking back on her career during the MPR interview, Gardebring Ogren said she had many fun jobs. "Things that are new, that are startups, that represent kind of a change in the old way of doing business, those have always been the fun things for me," she said. In addition to her husband, Gardebring Ogren is survived by two adult stepchildren. Funeral services are planned for Aug. 7 at Mount Carmel Lutheran Church in San Luis Obispo, Calif., according to Paul Ogren.